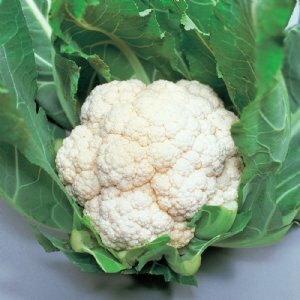 Cauliflower is a nutrient-packed, creamy-white, immature flower head that is delicious whether eaten fresh or cooked. 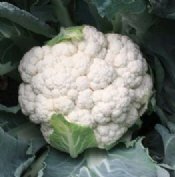 Easy-to-grow, early cauliflower that produces fully sized, 7-inch, solid-white heads. It’s a great variety for first time growers! 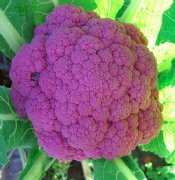 Produces glamorous purple heads that are sure to bring the WOW factor any relish tray. Eaten fresh, its one of the sweetest varieties. 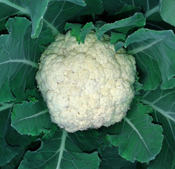 Extremely early cauliflower featuring smooth, pure white, 7-8-inch heads. Its a nutritional powerhouse.